Kamal Mitra Chenoy referred to the Gujarat "genocide" and called the BJP "anti-Muslim" in his comments on Al Jazeera. New Delhi: The Union Ministry of Human Resource Development is now acting on a BJP parliamentarian’s complaint against a JNU professor for comments made on TV in July. 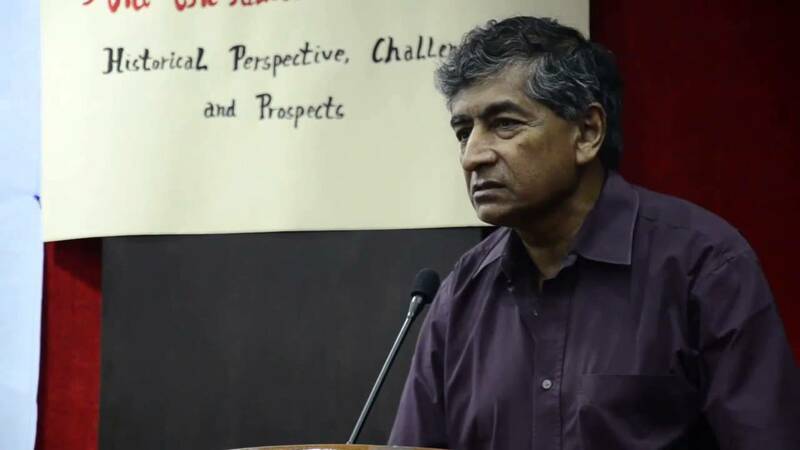 Kamal Mitra Chenoy, a professor of political science, had criticised Prime Minister Narendra Modi, saying that he should have visited Palestine as well when he went to Israel. According to the Telegraph, Chenoy also referred to the Gujarat “genocide” and called the BJP “anti-Muslim” in his comments, which lasted less than four minutes. After the telecast, Satya Pal Singh, a former police officer who was elected to the Lok Sabha from UP and became a minister of state in the HRD ministry last month, filed a complaint with parliamentary affairs minister Ananth Kumar on July 6. According to Singh, Chenoy had made “anti-India” comments. Formerly a Communist Party of India member, Chenoy joined the Aam Aadmi Party and campaigned against Modi in Varanasi in the 2014 Lok Sabha elections. The parliamentary affairs minister sent Singh’s complaint to HRD minister Prakash Javadekar. An undersecretary in the ministry forwarded it to JNU registrar Pramod Kumar, asking for inputs. A reminder was sent to the registrar on September 22, and again on October 23. He has now asked Chenoy to respond to the allegations, Telegraph reported. While Chenoy did not want to comment on the issue, the newspaper quoted university sources as saying that the professor had sent in his response, defending his views and his right to express them. While Chenoy contradicted some of the points in the complaint, he stood by his criticism of Modi and the BJP, the Telegraph report says. Nandita Narain, who like Chenoy is a former president of the Federation of Central University Teachers Associations, said that both the complaint and the actions taken thereafter are part of larger efforts aimed at “crushing dissent”. “This is harassment of worst kind. University teachers are expected to have freedom to express criticism of government policies. Nowhere do our service rules prohibit expressing our opinion that may be critical of government. Universities are places where people are trained to look at things critically. This is part of crushing dissent,” Narain told the Telegraph. This is not the first time the government and its supporters have been accused of trying to silence those who disagree with them by labelling them as ‘anti-national’. This labelling has been used by the Centre several times in the context of university protests – including in the case of Dalit scholar Rohith Vemula and Jawaharlal Nehru University students and teachers during their protests in February last year.